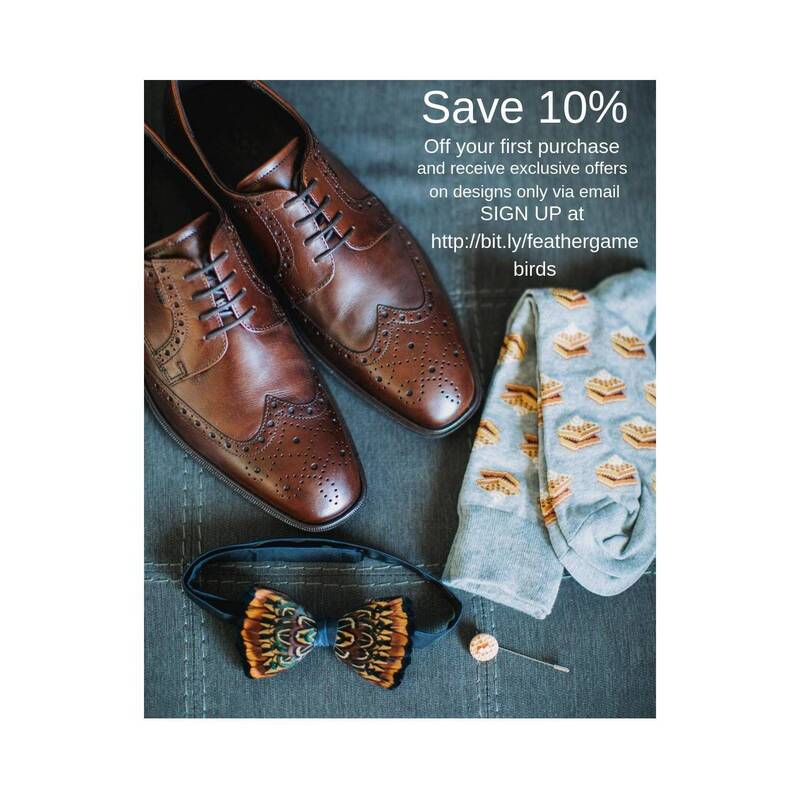 HAMPTON COURT Pheasant Feather Lapel Pin. 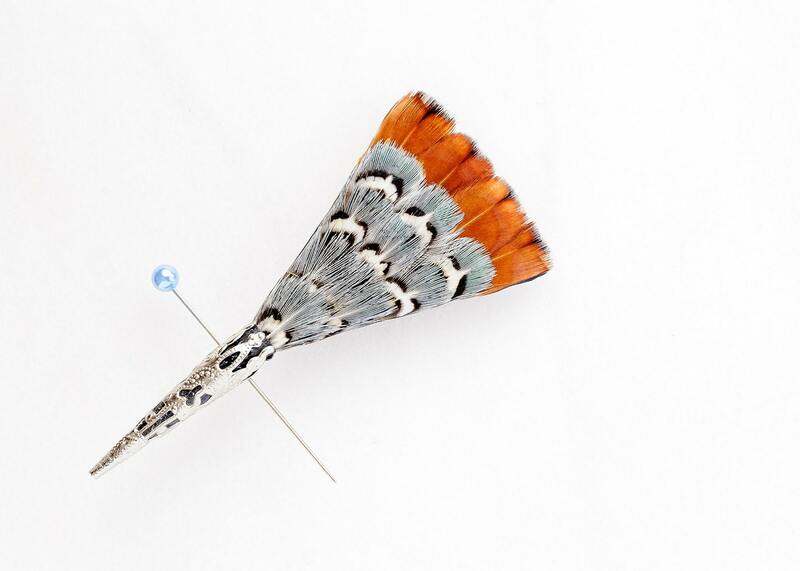 With its blue-grey and orange-brown natural feathers, this Hampton Court inspired natural pheasant feather lapel pin design, by plumassier artist Tracey Telford, provides just the right style foundation to always leave you feeling like royalty. The Hampton Court design shown is set set on a quality 100% luxurious black silk base however, being individually hand made, it can be made available on quality black satin. A range of others base colours can also be selected to align with your preferred design aesthetic. The metal pin is available in a choice of either silver or traditional gold colours. After months of looking for something a bit different to wear on my wedding day I came across Tracey's Etsy store. 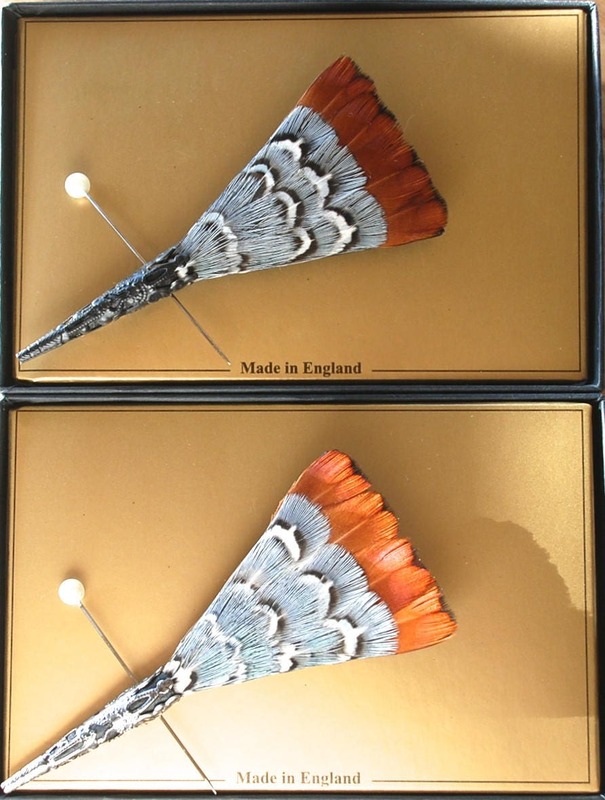 After a few conversations with Tracey about the pins I decided to go with the pheasant feather pin and when it arrived it looked even better than it did in the photos! I highly recommend Tracey and her shop, she has been a joy to deal with and her products are stunning, you will not be disappointed!